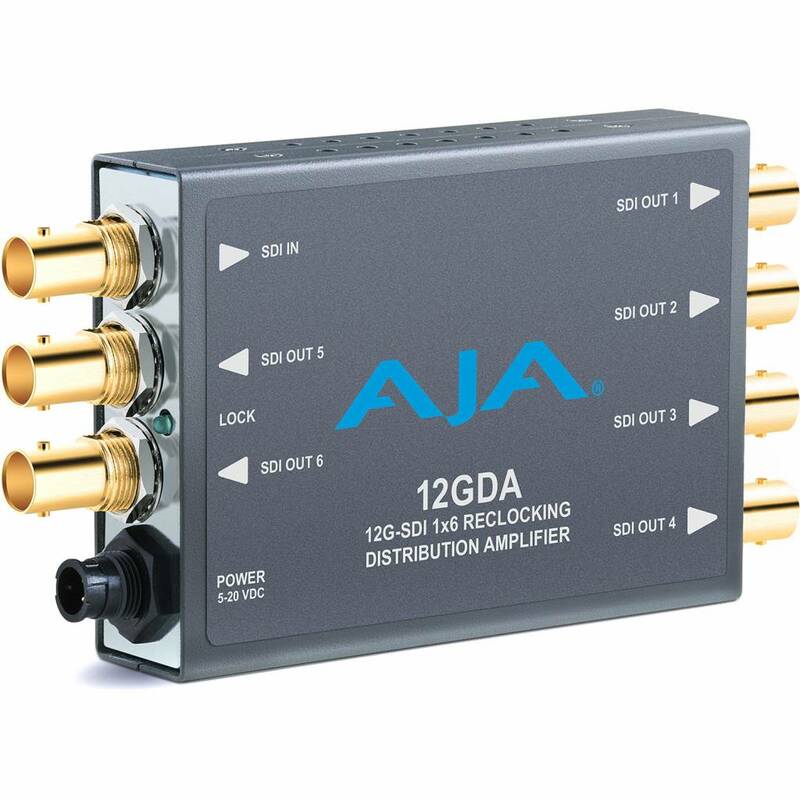 Split one SDI signal into six with the AJA 12GDA 12G-SDI 1x6 Reclocking Distribution Amplifier. Useful in studios and digital signage applications, this unit features an auto-sensing input and six separately buffered outputs with cable equalization and reclocking, for a clean signal over long cable runs. Both input and outputs support embedded audio. A universal locking power supply comes included.